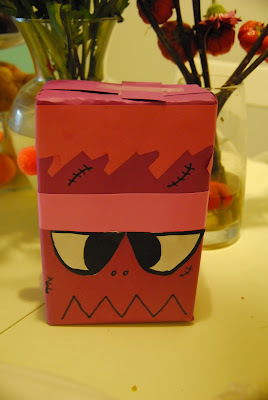 We also made this box monster. Simply decorating and drawing on a shoe box, covered in purple and pink paper (love bug's favorite colors). These guys are so stinking cute!! I love your kids' creativity, especially the shoe box monster!